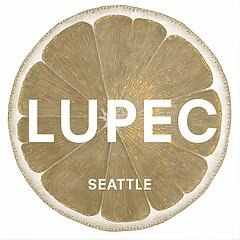 October is the 1 year birthday of LUPEC Seattle! Our first meeting was at Naga Lounge in Bellevue, there were about 12 of us and Andrew Bohrer was our bartender. How things have changed! Andrew is now at MistralKitchen, we've had 10 monthly meetings, 1 homework assignment, 1 class, 1 national meet up and there are generally 30-35 members participating regularly. Good job ladies! It's been a fun year and especially great to get to know you all better. 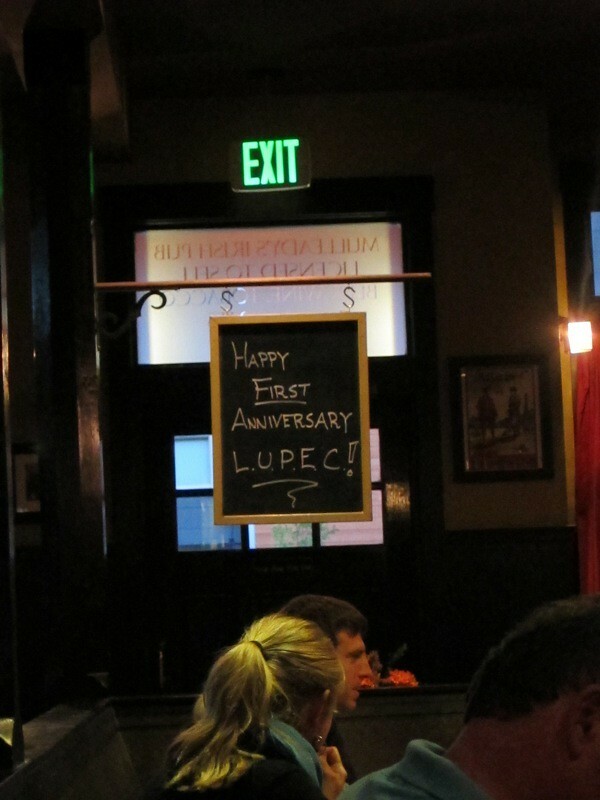 We celebrated our birthday with the exceptionally nice folks at Mulleady's. They went all out creating a menu of cocktails that had elements of orange (a traditional 1st anniversary food) like theZelda Gatsby (Ransom Gin, Gewurtztraminer syrup, orange bitters and a touch of fire) and the Orange Marmalade Sour (Cachca, Lemon, Lime, Sugar, Egg White & Marmalade) - even sending each of us home with a little jar of marmalade! Complimentary snacks (you sure look nice!) were also served. Peat smoked nuts, martini marinated olives, savory pumpkin beignets, arancini with blue cheese and almond orange olive oil cake. The bar really went out of their way to make us feel welcome and I'd say it worked. Mulleady's is a very cozy space complete with fireplace. Craft cocktails served in nice glassware and an extremely friendly staff. Big thanks to them for hosting and making us feel so welcome. Special shout out to Travis who made it all happen! 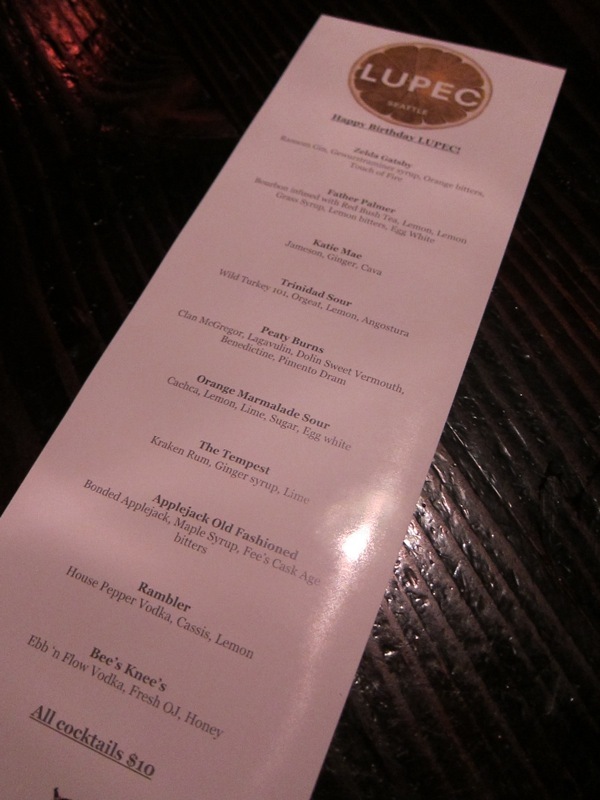 If you didn't get a chance to join us be sure to visit Magnolia & Mulleady's! I know we haven't had a "10 Q's" lately & I apologize- the summer totally got away from me! 1) What is your LUPEC cocktail name & why did you pick that? My cocktail name- I waffled back and forth between apple pucker shot and this one, finally I decided to go with Alaska Cocktail. Giving props to my heritage. 3) What was your favorite cocktail before you new any better? 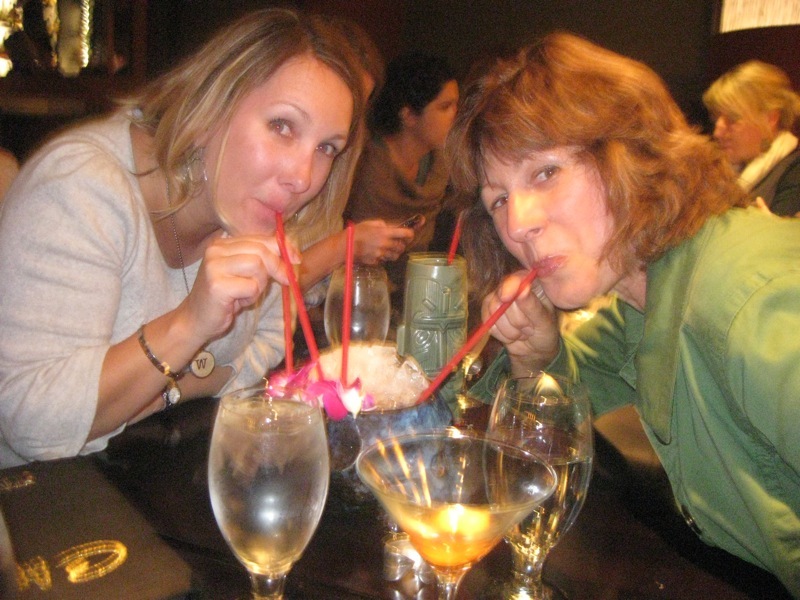 4) What's the worst cocktail you ever had and where did you drink it? I had a Death in the Afternoon made with 'home made' absinthe.. it was awful, but what made it the worst was I was then chastised for not appreciating absinthe! I won't say where because I am not a spitful person. 5) If you could ban 1 drink what would it be? 6) If you could have a drink with anyone, living/dead, who would it be and why? 7) What are your favorite non cocktail activities/hobbies/interests? 8) How did you first hear about LUPEC? 9) What is your go to drink or spirit? Depending on mood and climate it was bourbon but I am becoming more of a Rye girl and I love me a Negroni almost all the time. 10) What is your favorite cocktail bar and/or bartender right now? Thank you Cameo, great answers you crafty drinker! If you haven't had a chance to meet Cameo be sure to introduce yourself to her at the next LUPEC meeting.